ACS is a local, family owned, foodservice company with a history in the local area dating back to 1969. Overall, we pride ourselves on being a company that truly puts customer service at the top of our agenda. We guarantee a personal touch and the continual support of your business. At ACS, you are a valued client, not just an account number. Covering Norfolk, Suffolk and parts of Cambridgeshire, Hertfordshire and North London, we operate a modern fleet of purpose built, multi temperature vehicles thereby ensuring your order reaches you in perfect condition. With a dedicated management team, friendly and efficient office staff, professional drivers and warehouse staff, we provide an exceptional service. Our daily operations are thoroughly modern and up-to-date for today's marketplace. We use a comprehensive IT system for placing and tracking your orders. In the warehouse your items are hand-picked and double checked by our staff before loading for delivery. We offer all our customers an unrivalled choice of products, these include all aspects of frozen, chilled and ambient foods together with drinks, packaging, cleaning materials and many more items required by the catering industry. We are happy to respond to our customers needs, if you need a specific product please let us know and we will endeavour to stock. We publish two seasonal Product Guides and also offer regular special offers and discounts on our best-selling lines. New products are advertised on our website and our team are here to offer recommendations, our sales team will happily meet you in your workplace for samples and tastings. We provide a 24 hour, 7 day a week ordering service and a dedicated office team to deal with an query you may have..
ACS has seen many changes over the years, since being founded in 1969, by our chairman Richard Wells. In 1969 ACS started trading from a redundant railway station in Hellesdon, Norwich. In 1972 ACS moved to, The Loke, Dereham Road, Norwich. The next 20 years has seen gradual growth and in 1992 Richard's son Nick and the current management team joined the business. 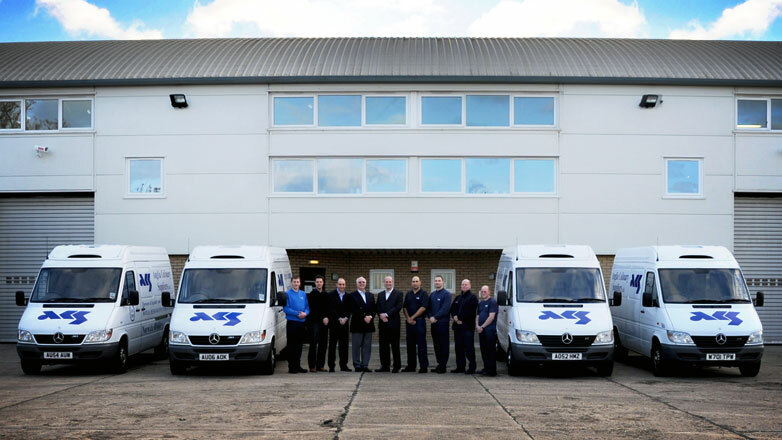 Nick was appointed MD in 2004 and by 2008 ACS had long outgrown the warehouse on Dereham Road. In 2008 ACS made major investments (with the help from NatWest) and moved to its existing location, Spar Road, Norwich. ACS is and will remain a family run business, always looking for the next opportunity. Investing in local staff, IT systems, buildings, vehicles and many new product lines. "ACS, Your Perfect Foodservice Partner"